MMC Mobile DV card data recovery software can easily repair formatted data including images, pictures, photos, audio, video files and folders. Download flash memory card data restoration software that recovers logically corrupted personal office document files and other multimedia files from corrupted Fujifilm XD Cards of your digital device. SD card data recovery tool support all major audio (MP3 MP4 WAV), video (MPG MPEG MOV) files format. ...... Memory card song recovery application is specially designed for recovery of formatted digital media files, audio video music files, movies from Compact Flash card of your mobile phone. Sony PRO Duo Memory Stick data recovery software supports almost any type of memory card including Mini-SD, Micro-SD, xD-Picture Card, Secure digital card, Smart Media, Multimedia memory card of all major brands such as Sony, Toshiba, Samsung, Konica, Olympus, Jet Flash, Benq etc. Olympus XD cards recovery software support all major audio (MP3 MP4 WAV), compressed (ZIP RAR) files format and video (AVI MPG MPEG MOV) files. Qweas is providing links to Memory Card Data Retrieval Program 3.0.1.5 as a courtesy, and makes no representations regarding Memory Card Data Retrieval Program or any other applications or any information related thereto. Any questions, complaints or claims regarding this application Memory Card Data Retrieval Program 3.0.1.5 must be directed to the appropriate software vendor. 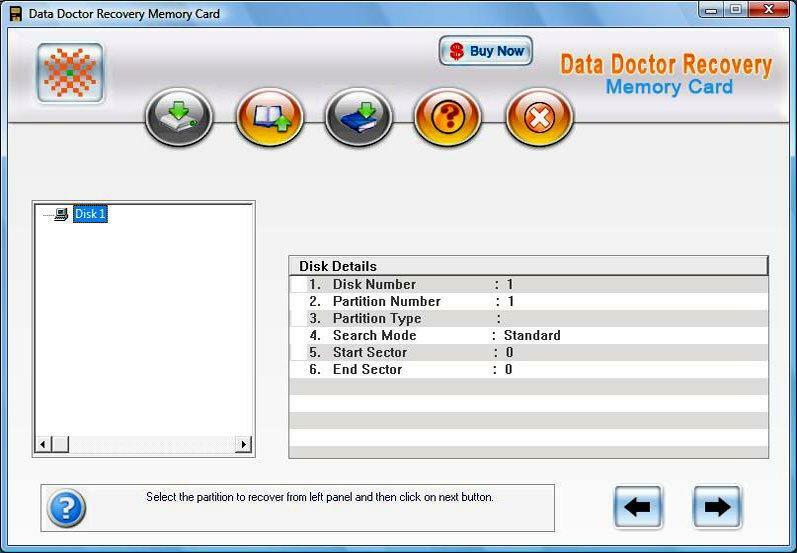 You may click the publisher link of Memory Card Data Retrieval Program on the top of this page to get more details about the vendor.